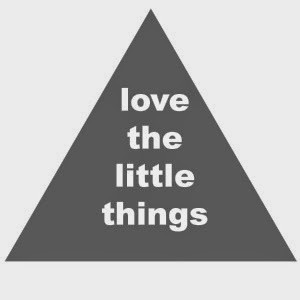 I am linking up again with butwhymummywhy here for Love The Little Things. 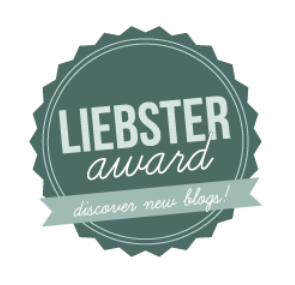 If you want to join in just go along to her blog and join the linky. Over the Easter holidays, Charlie and I joined the local library in our new town. I say new, we have lived here since September! So I took out two books. 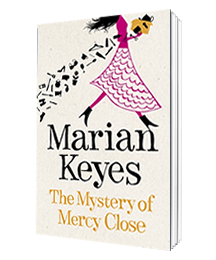 The first was The Mystery Of Mercy Close by Marian Keyes. I absolutely adore her books and love them when they follow the different members of the Walshe family. This book is no exception and so far I am loving it. It's very different and very intriguing! The story is told from Helen's perspective as she loses her house and has to move back in with her parents. She is a PI and is hired by her ex boyfriend to track down a missing member of the 'Laddz' boy band. The second book I took out was The Hairy Biker's Asian Adventure. I have put sticky notes on about 50 of the recipes in this book! They all look so amazing. Watch out for Instagram pictures, no doubt. Again, not really watched very much this week. Hubby always has the sport on of an evening, so I find myself watching Darts, Football or Bikes! However, with my Year 7 class we are reading Matilda by Roald Dahl, so I decided to treat them and let them watch the film! Check out my Spring/Summer fashion post here to see what I have been wearing this week! I love my Asos plimsolls! I had tried to buy them about a month ago, but my size wasn't available. I think I checked every day to see if they were back in stock and was so happy when they finally were! Lots this week! You may have seen on Instagram, that Charlie has a new pushchair and it has speakers in it! So I have been popping my iPhone into it whilst Charlie and I have our evening stroll. He's still obsessed with Happy so I am playing that a lot, but I have been rediscovering Adele's 21 album. 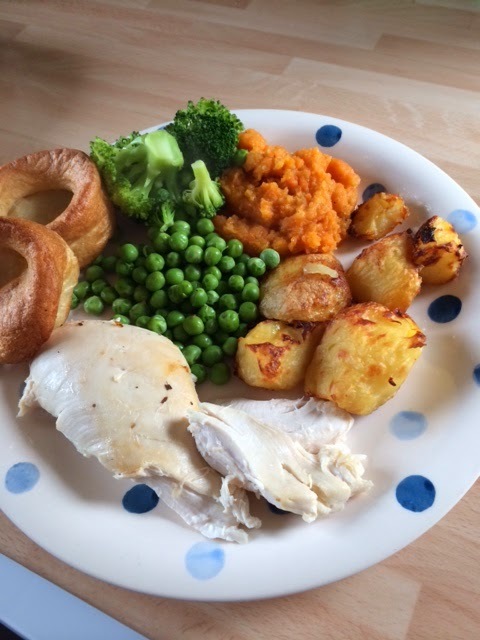 The only remotely exciting thing I made this week was this yummy roast! I feel like we've eaten junk this week as had so much on after work every day. And lastly, I am looking forward to this weekend; it's a bank holiday! On Saturday we are taking the step-daughter and Charlie to a park which as boats on a lake and games and rides etc. On Sunday, Tom is helping out at a pub so Charlie and I are going to chill out with a film and do a spot of cleaning. We will then walk to meet Daddy and maybe have a little drink in the beer garden if it's nice! Monday's plans are yet to be decided, but it will be just hubby, me and Charlie so we will do something lovely just the three of us. 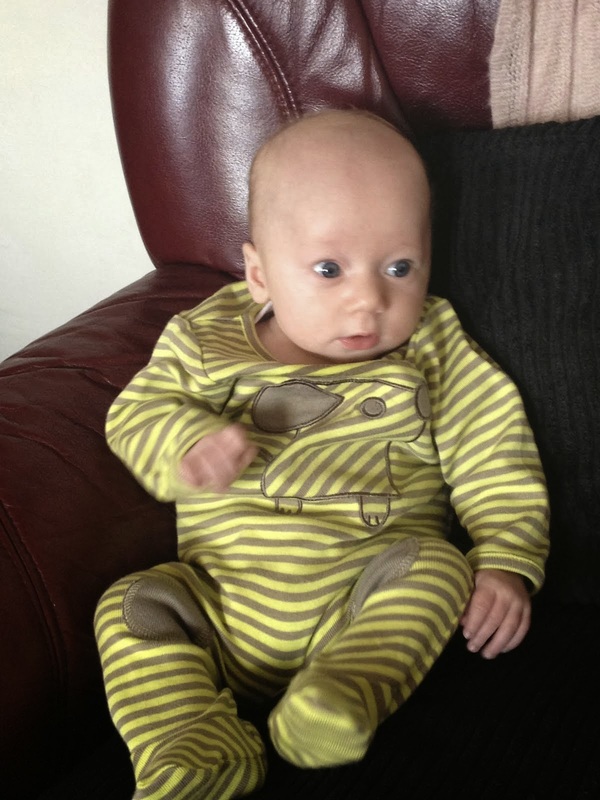 Also, how cute is my little man here. 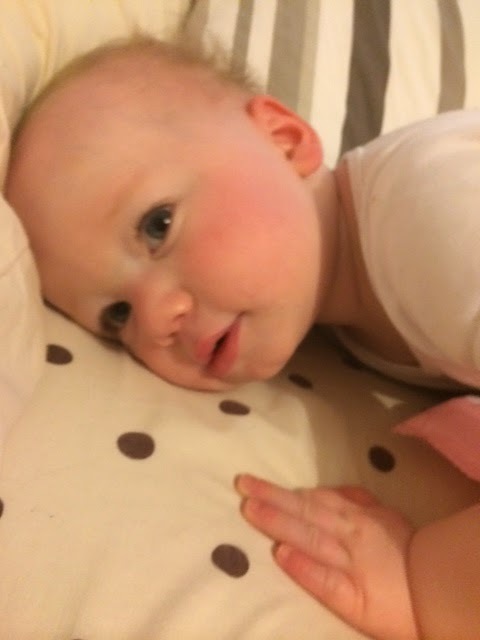 Just chilling in Mummy's bed. Aw thank you! It was yummy! That roast dinner looks so scrummy!